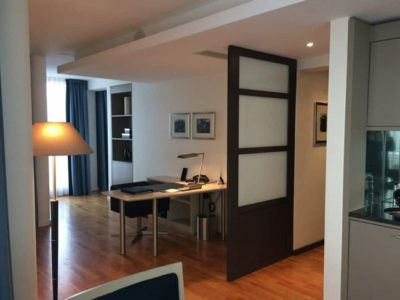 The hotel’s 157 suites are renowned for their sleek design and functionality; it’s no wonder that one in five guests stays for longer than four weeks. 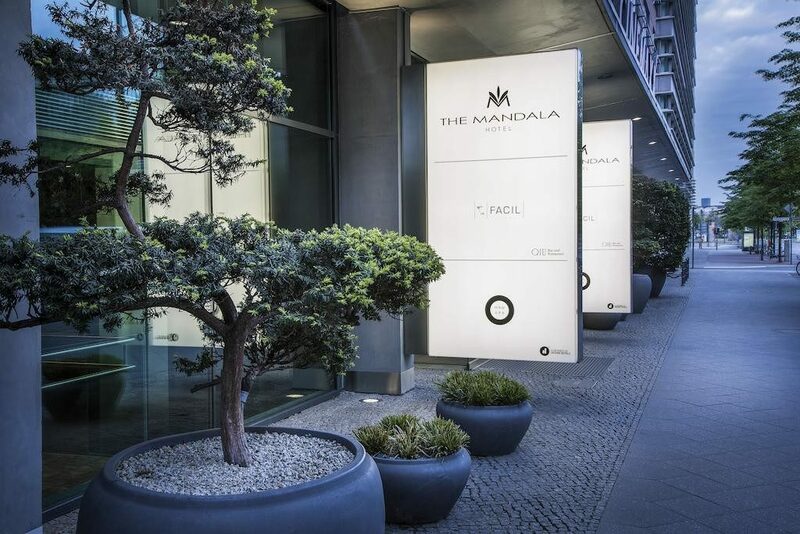 Rather than self-indulgence, The Mandala Hotel Berlin understands luxury to be about an authentic joie de vivre, expressed through inspirational interiors and genuinely courteous service. 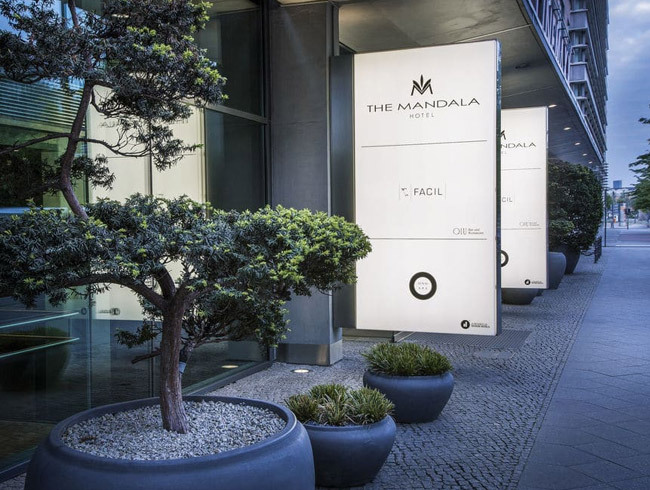 Space is a key factor for the uncomplicated atmosphere of The Mandala Hotel Berlin, where suites offer between 40sqm and 200sqm of living room. Full of technical details, discretely integrated into the room’s design, the needs of both business and leisure travellers are met. The Mandala Hotel’s hip QIU lounge and FACIL restaurant have become destinations in themselves for Berlins socialites, bringing hotel guests into contact with the local glitterati. Work off that last martini at Mandala’s 11th floor ONO Spa. 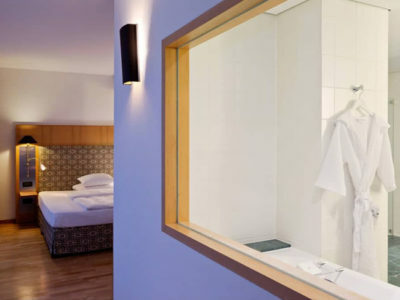 The 600 square-meter, top floor ONO Spa is a world of holistic well-being high above Berlin. 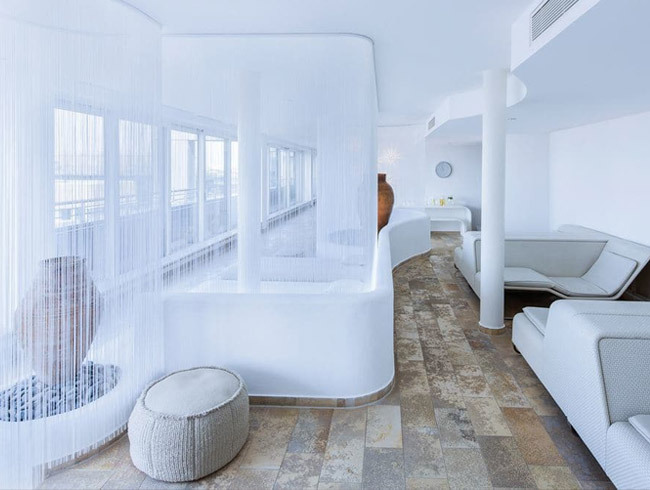 Guests enjoy panoramic city views during indulgent treatments tailor-made for those who value individualism and privacy and want maximum relaxation and fitness in the shortest time possible. An oasis for gourmets who seek the unconventional. Here chef Michael Kempf works with pleasure and passion of his latest creations. 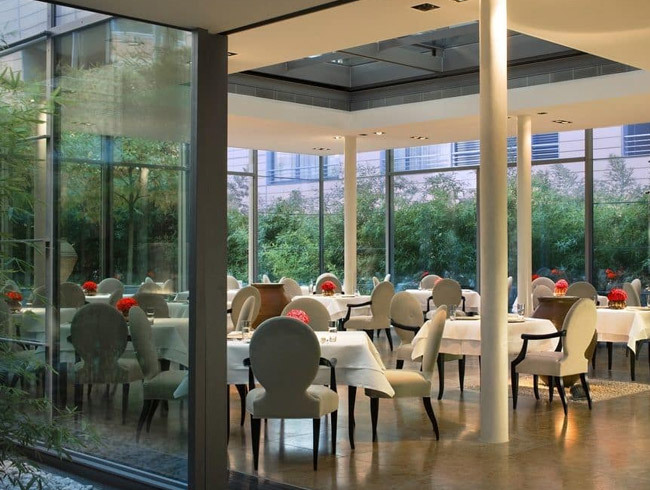 The FACIL restaurant is the perfect place to crown a day enjoyable. 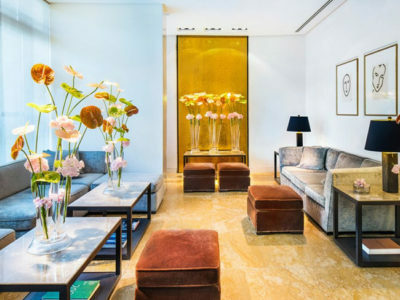 The QUI lounge offers cocktails and refined cuisine in a uniquely inspiring environment. 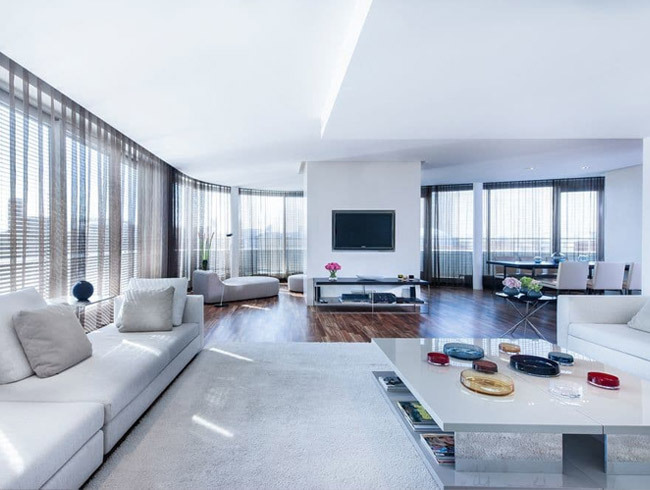 The lounge itself is very inviting. Experience the variety of whiskeys, cognacs and sours in AN intimate club atmosphere. 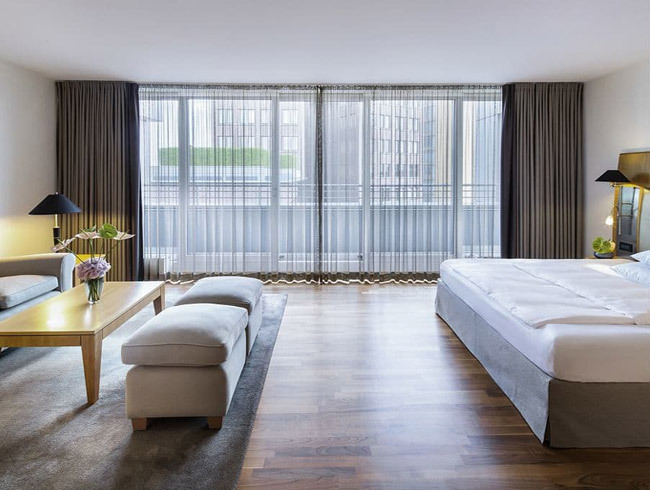 Start your walk at the famous Potsdamer Platz, Berlin. 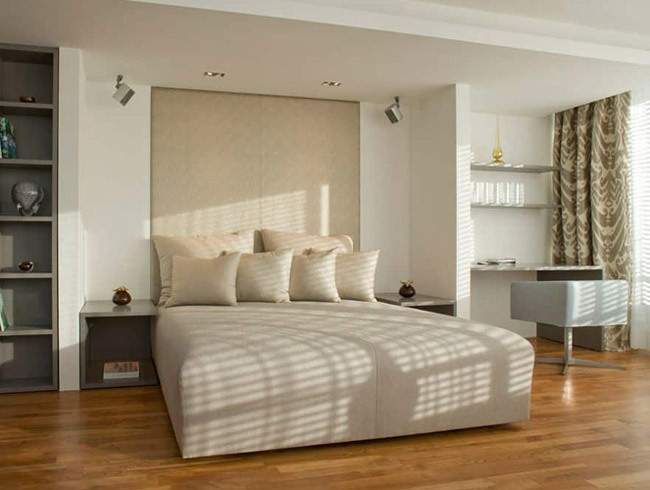 The Mandala Hotel is not only surrounded by world class architecture. All major political, cultural and lifestyle attractions of Berlin are nearby and can be reached easily on foot. 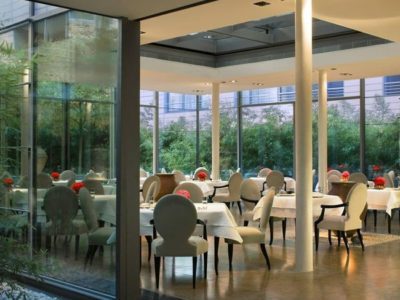 This is such a centrally located hotel in central Berlin that is ideal for exploring the city.